The fourth largest city in Canada, Winnipeg is the quintessentially Canadian city. 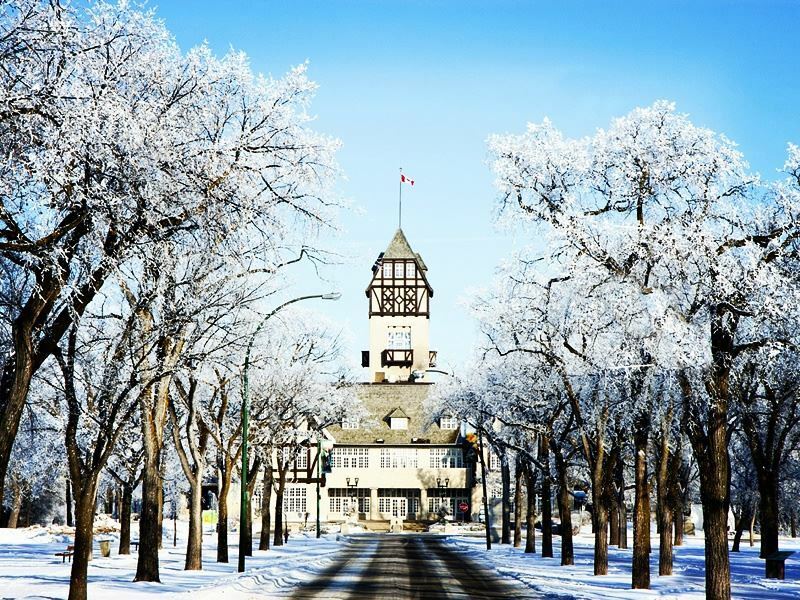 Surrounded by farms, vast bodies of water and just over an hour's drive north of the U.S border, this southern Manitoba capital city boasts a vibrant theatre and arts scene, and is rich in culturally significant landmarks and museums. 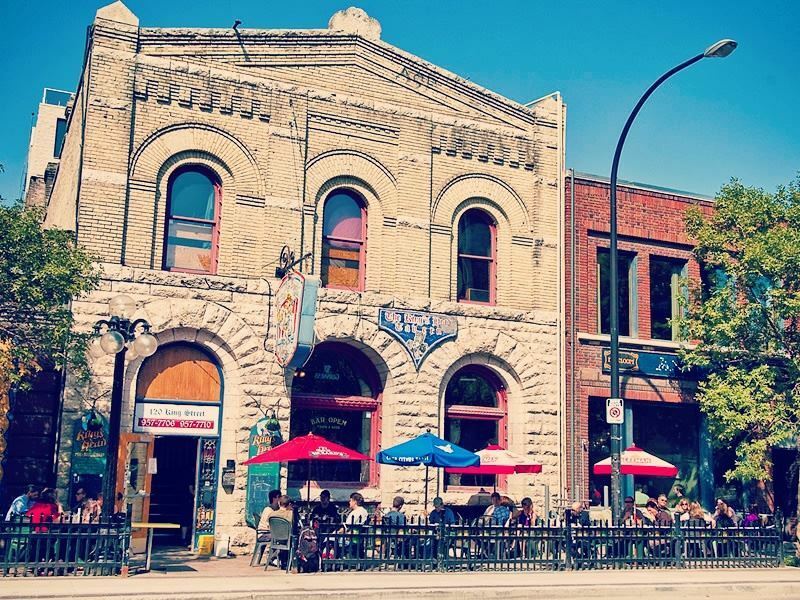 From the historic French Quarter to the fashionable Exchange District, Winnipeg’s downtown area offers something for everyone. 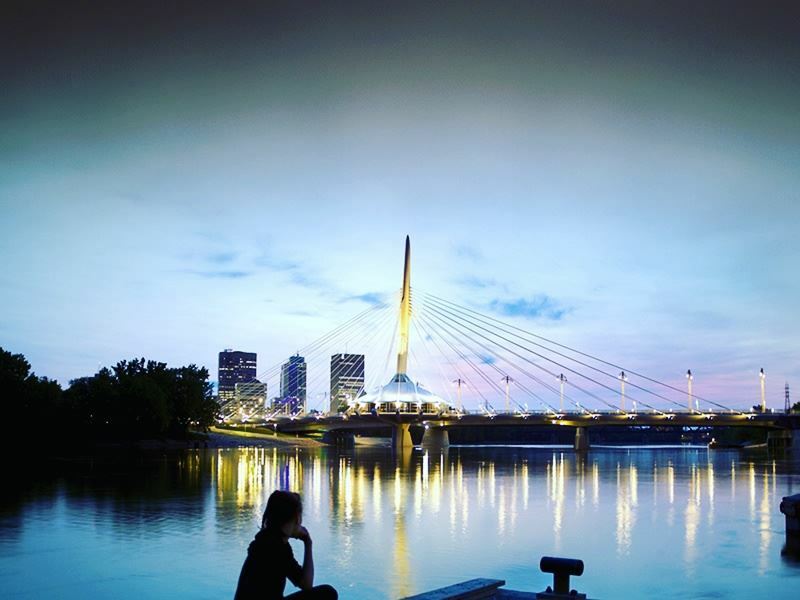 The city’s core is home to the Museum of Man and Nature, the Manitoba Museum and the Winnipeg Art Gallery, and the outskirts offer day-tripping options from watersports to skiing to hiking. Firmly rooted in tradition, this central Canadian city anchors the past while embracing the future, preserving its history and offering a vibrant cultural experience in every nook and cranny. Whether staying a day or longer, the choice of activities in Winnipeg and surrounding area is enormous. It is possible to enjoy breakfast in the city followed by a visit to the Manitoba Museum, followed by a few hours of fishing for pickerel or canoeing on Lake Manitoba, with time left over for a river-side dinner downtown at the Forks National Historic Site. City pastimes include museums and galleries, boutique shopping, music concerts and theatre, with a complete range of international dining options at the city’s many restaurants. Sports that can be enjoyed near the city are boating, fishing and golf, with skating, show shoeing and snowmobiling being top picks for winter. Of course, a visit to the region would not be complete without ticking off a bucket-list must-do: a visit to see the polar bears in Churchill, Manitoba by air or rail, for an escorted bear and tundra tour. Whitestone Provincial Park lies 100 km east of the city. This 2,800-sq km wilderness park offers hiking, canoeing, cross country skiing and snowmobiling over the rocky and rugged lake-filled landscape. Lake Manitoba is 125 miles long, making it one of the largest freshwater lakes in the world, and it is within an hour’s drive of Winnipeg. Renowned for fishing, the proximity to the city allows for easy access to enjoy the range of watersports available. Birds Hill Provincial Park is a unique site that features hills formed by ancient glaciers, and offers activities such as cycling, swimming in the lake, hiking and cross country ski trails and a riding stable. Located 24 km northeast of the city, the park is a good option for active sports within easy reach of Winnipeg. Relaxing at a thermal spa with restorative treatments can be enjoyed at Thermea by Nordik-Spa Nature, located just 8 minutes from the city centre. Its thermal pools, Finnish saunas and heated stone massage therapies are the perfect solution for travel-weary visitors. Try the heated loungers after a polar plunge, and enjoy a chocolate fondue after relaxing by the outdoor fire. Dining is available for those wanting to linger longer. A visit to Assiniboine Park and Zoo and its exhibit, “Journey to Churchill” leaves visitors in awe of the majestic polar bears and the great north. Snowy owls, big cats and a butterfly garden are displayed in a natural setting, offering visitors to Winnipeg a glimpse of rarely seen flora and fauna. The sprawling 80-acre urban park offers a conservatory, gardens to explore, and playgrounds, making it an excellent attraction for all members of the family. Shaw Park is a stadium that is home to the Winnipeg Goldeneyes, the local baseball team. Baseball games can be seen here during baseball season, offering family entertainment at is best. Food concessions offer food and drinks and entertainment is featured in between innings. The Manitoba Museum is where to find out about dinosaurs, stars science, all in one comprehensive venue. A guided tour of the night sky is offered at the museum’s Planetarium, and the Science Gallery allows visitors to explore technology and space in interactive displays. Explore the nature of the Sub-Arctic, or experience 12,000 years of culture in engaging, educational exhibits. Discovering that Churchill was once a tropical jungle 450 million years ago is just one of the astounding facts that are learned while visiting the museum. The Forks National Historic Site is a 9 acre river-side park, preserving the culturally significant 6,000-year history at the junction of the Red and Assiniboine Rivers. There is a museum, a Riverwalk, a festival stage and a selection of boutique and specialty shops and dining options including a pub, a café and a restaurant with an outside patio. The historic port offers cruises and canoe rentals, and winter visitors can rent skates and try skiing on the Red River Mutual Trail. This favourite meeting place pays homage to the first peoples of the area, the European fur traders, the Scottish settlers, railway pioneers and scores of immigrants. Located on site, The Canadian Museum for Human Rights is an award-winning museum offering guests an experiential journey as they learn about human rights. 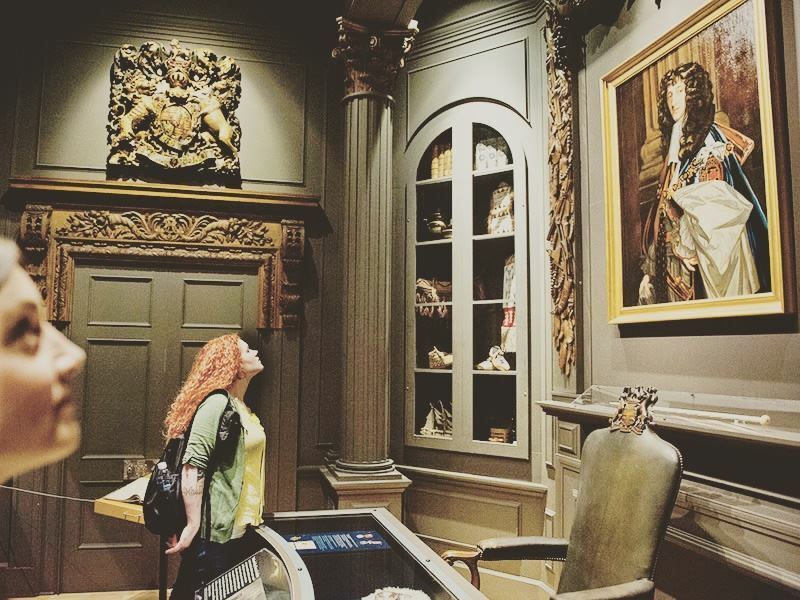 There are 11 galleries to explore, and meals are available at the bistro. For panoramic views of the city, climb the winding stairs to the Tower of Hope. Winnipeg Art Gallery is located in the heart of the city and offers the Group of Seven and Inuit art exhibitions along with a wide variety of Canadian and international art collections. The on-site penthouse restaurant and shop featuring an extensive array of indigenous art, gifts, jewellery and books create a one-stop experience and is a must-see when in the downtown area. 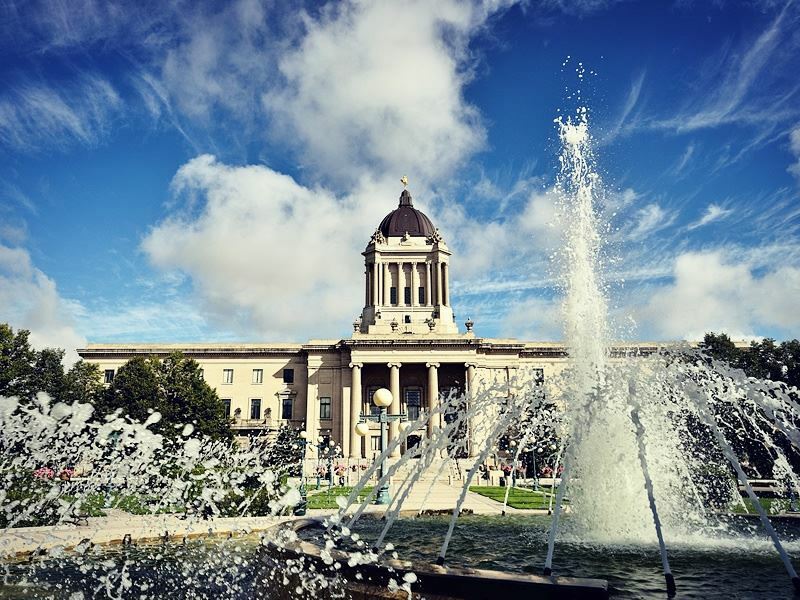 The Manitoba Legislative Building provides guided or self-guided tours of the beautiful historic landmark. Not to be missed are the statues, including the 24-carat gold-covered Golden Boy statue, and the impressive architecture. Photo opportunities abound at this fascinating site. The Exchange District is considered a National Historic Site, as the location was once the centre of the city’s first business and commerce. The area spans over 20 city blocks, and rich in entertainment with street performers, concerts and events, with the local Royal Manitoba Theatre Centre offering nearly 250 performances a year. Here, an array of specialty retailers, galleries and restaurants draw customers from all over, but the history is kept intact in the form of 62 historically significant heritage structures dotting the district. Nunavut Gallery sells Inuit art and carvings in a small, friendly shop. Black, green and white soapstone are transformed into birds, dancing bears and seals, in many sizes, making them a one of a kind gift or treasured memento. Best of Friends Gift Shop is operated by the Friends of the Winnipeg Library, and offers jewellery, tote bags, greeting cards and more from its downtown location. Decadence Chocolates makes hand-churned ice-cream, cookies and chocolates that are truly unique: chai tea and lavender chocolates are a few of the interesting flavours at this artisanal shop. Maxime’s Restaurant is a long-standing city favourite, serving steaks, souvlaki, prime rib and more in this south Winnipeg family-style restaurant. Nuburger is a must for burgers of every type from veggie burgers with the works, to bison burgers with blueberry BBQ sauce. Served with such unique sides as yam fries with truffle aioli, this burger joint packs them in seven days a week and is the perfect downtown diner to grab a bite before visiting the Manitoba Museum or Winnipeg Art Gallery. Santa Ana Pizzeria and Bistro is the home of wood-fired pizza, homemade cannelloni and manicotti draws diners in search of authentic, simple Italian fare. Stella’s Café and Bakery is centrally located and offers all-day breakfasts featuring salmon benedict and freshly baked scones, and hearty lunches. It is convenient for those staying in downtown hotels who want to grab a quick breakfast or take-out lunch. Bellissimo Restaurant and Lounge is a popular Italian eatery, serving up platters of scampi, homemade pasta, meatballs and more in its downtown location. The Keg is an established eatery offering prime rib, escargot and seafood, with specialities like mushrooms Neptune, French onion soup and bacon-wrapped scallops, in a cozy, family-friendly setting. Located in the centre of town, vegetarians and non-vegetarians alike will be happy to know that Affinity Vegetarian Garden offers soups, spring rolls, satays and a large choice of Asian vegetarian dishes. Authentic Chinese dishes and a buffet option keep customers coming back for more. 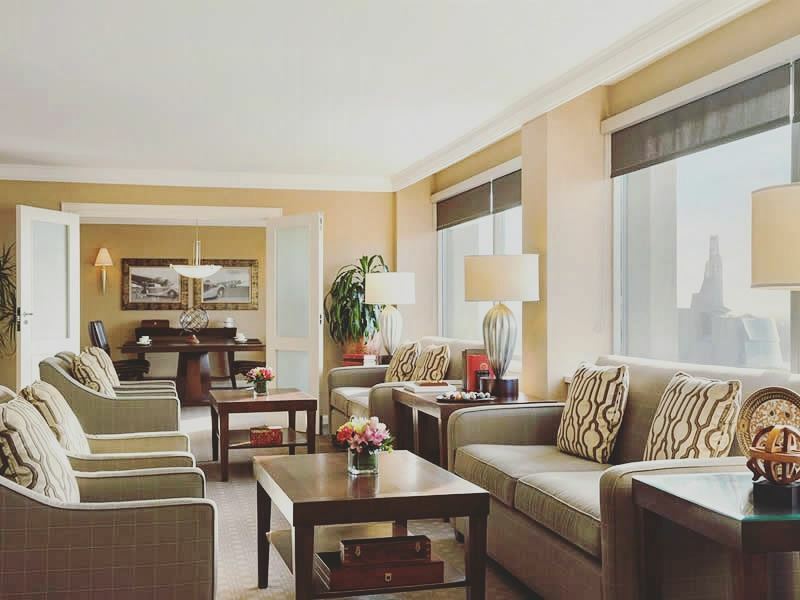 The Fairmont Winnipeg is a 4-star luxury hotel in the heart of the city. Boasting sweeping city views and a saltwater pool, the hotel offers a business centre, fitness centre sauna. Luxuriously-furnished rooms are supplied with bathrobes and mini bars and the hotel is connected to an underground shopping area. Fairmont's Velvet Glove restaurant serves fresh, locally-sourced food and features one of the city’s most extensive wine lists. Room service is available 24 hours a day, conveniently providing chef’s creations any hour of the day. Delta Winnipeg is a conveniently-located downtown hotel that has a rooftop outdoor pool, heated bathroom floors and large, comfortable rooms. Flat-screen TVs and ample natural light with an ergonomic work area are featured in the well-appointed rooms. The Blaze Restaurant & Lounge at the Delta hotel serves breakfast, lunch and dinner and the Urban Bean offers Starbucks coffee, sandwiches and pastries for those on the go. Sandman Hotel Suites is located near the Winnipeg International Airport (YWG), and only 10 minutes from the downtown core. An airport shuttle, on-site dining and a business centre create a soothing, carefree oasis for travellers before or after their visit to Winnipeg. Room features include tea and coffee-making facilities, premium bedding and free high-speed internet. The Chop Steakhouse and Bar serve lunch and dinner, and the 24-hour Denny’s Restaurant provides room service. There is an indoor pool and whirlpool and a fitness facility on site.